Assembled in Charleston, South Carolina, with high-quality materials and meticulous workmanship…delivering All-American hardware at an unbeatable value! The upper receiver is CNC-machined from 7075-T6 aluminum, the hardest and most durable material of any upper, then Mil-Spec Type III hard-coat anodized. The barrel is made from the most durable material in the barrel world, 4150 chrome moly steel, and features nitride coating to increase durability and reduce wear. The 15” Keymod handguard by Hera is engineered and manufactured in Germany. This modern-designed rail is made from aircraft-grade aluminum, and features hard-coat anodized rails to improve the strength. To top it off, Hera’s “Anti-Turning Milling” eliminates turning. It's a nice start to your build…that's also USA-made and super-affordable. Can't go wrong here. PLEASE NOTE: Bolt carrier group is not included. CBC AR-15 5.56 NATO/.223 Rem. Upper Receiver Less BCG, 16 Barrel, 15 Hera Keymod Handguard is rated 5.0 out of 5 by 3. Rated 5 out of 5 by jmack73 from Very well made! Extremely accurate! Received in the mail and immediately loaded some 55gr FMJ to see what she could do. Very tight groups and extremely well made and I'm very impressed with not only the upper but Sportsman Guides FAST shipping and GREAT customer service! Rated 5 out of 5 by The Monk from CBC Upper w/ Hera Handguard So glad I decided to purchase this CBC Upper from the Sportsman's Guide. Fit and finish are way better than I expected and accuracy is very good. The Hera handguard is well made and comfortable. Yes, I would buy another and I would recommend to others. 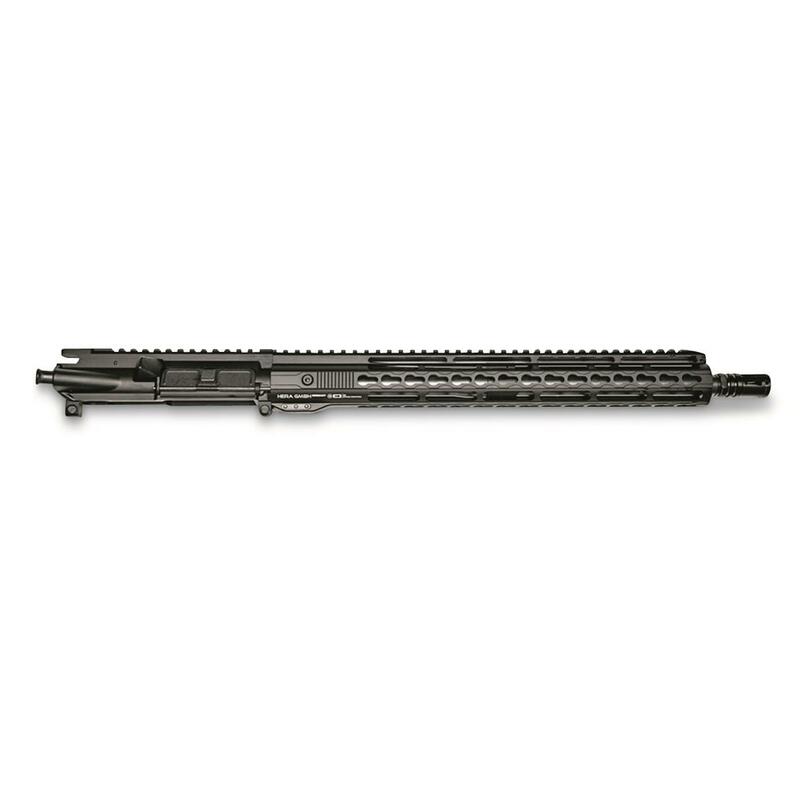 APF 300 BLK Carbine Complete Upper Receiver, 16"
APF 300 BLK Pistol Complete Upper Receiver, 10.5"
Distinct looks and performance for your next AR build. The bedrock of a quality AR-15 build. Get a good head-start on your 300 BLK Pistol build.